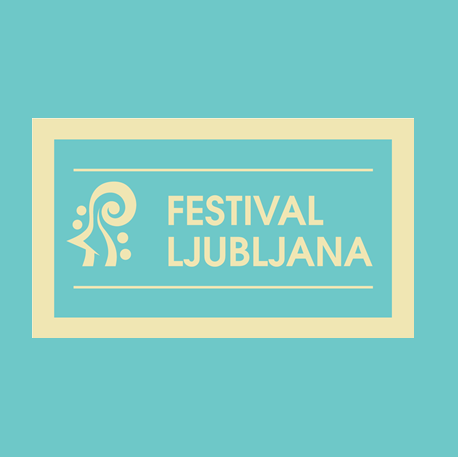 The opening concert of the 39th Slovenian Days of Music will offer an interesting combination of two ensembles as well as an encounter of two generations of composers. The RTV Slovenia Symphony Orchestra and the leading modern music ensemble Ensemble Modern from Frankfurt am Main will be conducted by the German conductor and composer Johannes Kalitzke, who studied in Köln and also in Paris under the mentorship of Vinko Globokar. 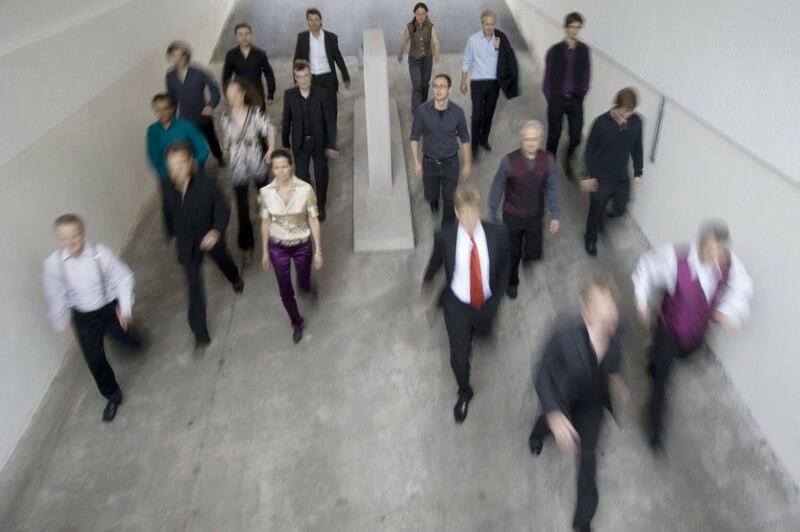 The Ensemble Modern was founded in 1980 by students of the Young German Philharmonic in order to motivate composers to compose new pieces, and to perform them at a high level of quality. Today, the ensemble comprises 19 musicians from eight countries, who contribute their different cultural roots to the performance in a special way. 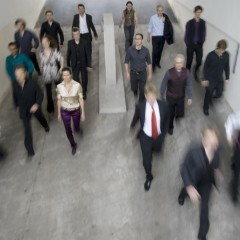 They perform at approximately one hundred concerts per year and collaborate closely with contemporary composers. At least 20 compositions are performed for the first time each year. Due to its exceptional quality, the ensemble receives extensive subsidies from the German state, i.e. Frankfurt, Hessen and the German Bank Foundation, while special projects are financially supported by the Cultural Fund of the City of Frankfurt. Special thanks go to the Aventis Foundation, whose cultural partners include the Culture Programme of Hessen Radio Hr2. The German artistic environment has been quite attractive and stimulating for many Slovenian composers over many years. Vinko Globokar was one of the first composers who sought for and created new ideas there, and other middle and younger generation composers followed: Uroš Rojko (1954), Igor Majcen (1952), Tomaž Bajželj (1979), Vito Žuraj (1979), Nana Forte (1981), Nina Šenk (1982) and Matej Bonin (1986). Žuraj, Šenk and Bonin intensively cooperate with the Ensemble Modern. Vito Žuraj, who in 2014 was resident composer and recipient of a scholarship from the famous Villa Masssimo in Rome, started his collaboration with this top quality ensemble in 2009, when he was admitted to the Ensemble Modern International Academy; subsequently he was also selected to participate at a seminar for composers. Since 2009, the ensemble has performed more than ten of Žuraj’s compositions. At the opening concert, special emphasis will be put on the work of our composer, who is currently the most recognisable Slovenian artist in Germany. The compositions Changeover for instrumental groups and symphony orchestra, and Runaround for brass quartet and instrumental grous, were composed for the Ensemble Modern. Changeover was first performed in November 2011, at the opening concert of the founding edition of the cresc…Biennale for Modern Music, while Runaround was first performed in December 2014, at the closing concert of scholarship recipients of the Villa Massimo German Academy at the Grand Hall of St. Cecilia in Rome. Although the compositions were created three years apart, they are similar in concept, both connected by a theme that originates in tennis. Changeover means the change of ends, while Runaround is a particular stroke. Vito Žuraj won the top award at the 57th composers competition in Stuttgart for Changeover, the oldest German award given for contemporary music. In the near future, the composition will be released on the composer’s portrait CD, issued by the Deutscher Musikrat, Edition Zeitgenössische Musik collection and Wergo publishing. In February, Vito Žuraj received the Prešeren Fund Award 2015 for quality and widely recognised musical opus created in the past two years. Without a doubt, it will also be interesting to hear the Five compositions for orchestra by the Austrian composer Arnold Schönberg, which were composed in two different versions at the beginning of the 20th century. * The price marked with *applies only for persons under 25 and over 65 years of age and for pensioners. Tickets sale for concert: Cankarjev dom, Information Centre and Box office.